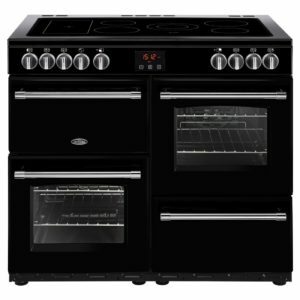 The 90cm Belling CookCentre certainly stands out finished in black. 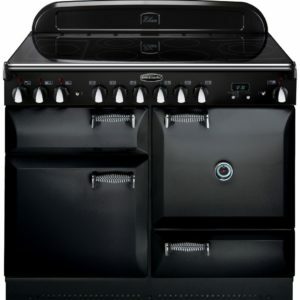 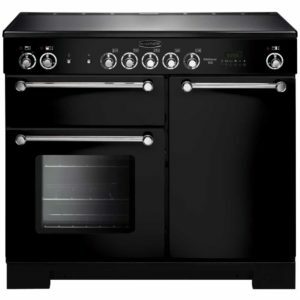 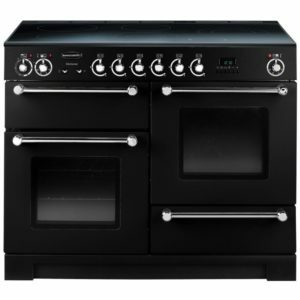 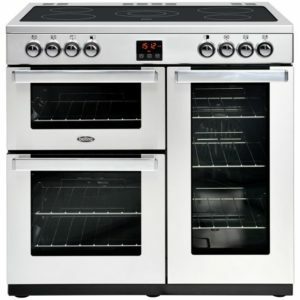 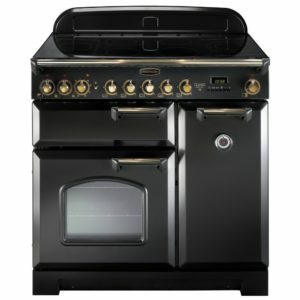 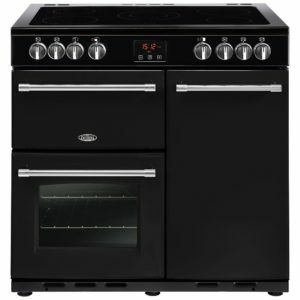 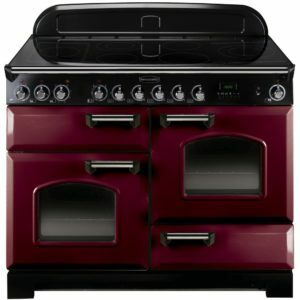 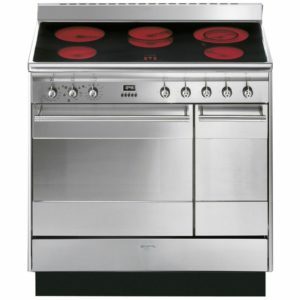 This A/A energy rated model offers loads of choice and space with two ovens, a five zone ceramic hob and grill. 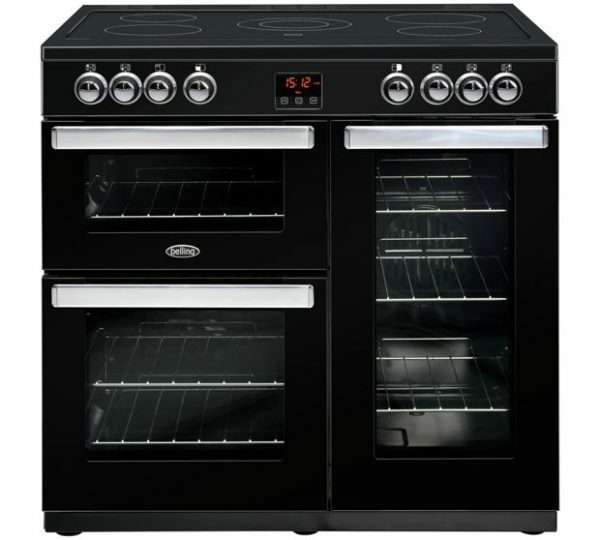 The main fan oven has LED touch controls, slow cook and defrost settings, how useful! 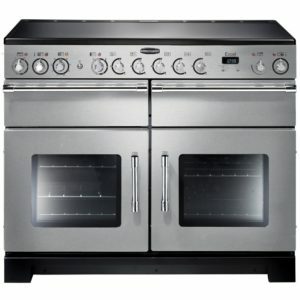 With head turning looks you will certainly be the envy of your friends with this cooker in your kitchen.